Chief Harry S. Kubojiri has promoted two Police Department employees to the rank of captain, effective August 1. Robert Wagner will be commander of South Hilo Patrol and Samuel Kawamoto will command Kona Patrol. 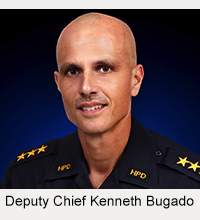 Wagner, a 24-year veteran of the Hawai’i Police Department, is a former Criminal Investigations Section lieutenant in Kona. 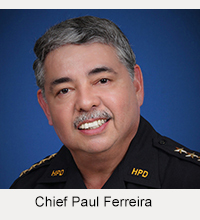 He now heads the Police Department’s ongoing efforts to achieve accreditation from the Commission on Accreditation for Law Enforcement Agencies. He was born and raised in Hilo, where he still lives. 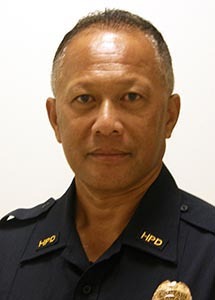 Kawamoto, a 27-year veteran of the Hawai’i Police Department, is the lieutenant in charge of the Police Department’s Special Response Team (SRT). A Kona resident, he was born and raised there and was assigned there as a police officer for 20 years until he transferred to Hilo in 2004 for his first SRT position.